Is It Fair That Founders Get The Lions Share of Equity? Something has bothered me for some time and its just now starting to get talked about. Below is not a rant, but rather an exercise in thinking about fairness in compensation. Founders receive huge amounts of equity in the companies they start, yet over time as more and more employees join on and work incredibly hard to help grow the business into a successful enterprise the percentage ownership (cap table) doesn’t reflect adequate compensation. Why is it that an employee that joined just a few months or a year after the founder receive orders of magnitude less equity – and cash after a liquidity event – than the original founders? Does it really matter if you were there first and if it was your idea to begin with? If so, how important and impactful is it? Millions of dollars? Billions of dollars worth of difference? Yes, founders do take inordinate amount of risk in starting a new venture and they should receive compensation to reflect that. But when we are talking about $billion+ outcomes we then start to talk about income inequality on absurd levels. The difference between a founder receiving $1 billion or $2 billion is not the same as taking that extra $1 billion and spreading it over 100 or 500 employees – that which makes quite a bit of difference in each of those people’s lives. The fact is early and middle employees are hugely important to the success of a startup and should be compensated accordingly. More so, they might even be vital to the company’s success, such as a Director of Sales or VP of Engineering may be in helping a gangly startup grow up into a mature and profitable company. A recent podcast from Andreessen Horowitz covers this issue, and touches on how founders can think about structuring their equity grants a bit differently so that they can appropriately compensate early and later employees. Anyway, listen to the podcast as it covers a lot of points in this touchy subject. I recently noticed a frightening trend with certain founders in the tech industry. With the recent Uber misteps and observing the resulting outrage which ensued, it has come to my attention that we, as an industry, need to take a long look in the mirror. Founders need to take full consideration in how they are running their company, the culture they are creating, the data they are generating, and the ultimate consequences of their actions. I hope Uber realizes they are doing to their users exactly what they were furious (I assume) about the government doing to them as citizens when the Snowden files were revealed last year. We all need to understand we are standing at an unprecedented time in the history of business and technology. Everyday Joes now have the opportunity to create an app or platform that one day might just become indispensable to mankind. With its use, Joe will collect billions upon billions of data points on everyday citizens – like where they are currently, where they are going, who they talk to, what they typed, to whom, what they viewed on their phones, whom they connected with socially, etc.. With all this happening, Joe will find himself directly in the middle of our society, holding a treasure trove of personal data and a devil on his shoulder just waiting for the right time to temp him into exploiting it. I mean, it’s like big brother! But surprisingly it ain’t the government doing these things. Imagine what Facebook knows about you. Couple that with your Uber or Lyft usage data. Toss in your twitter clicks, Instagram photos, Gmail history and Google Chrome browser history. We are doing this to ourselves. We are the ones creating this new world of massive data collection which is resulting in unprecedented spying, snooping, breaches of security, cloud hacks and the like. This is your fault. And mine. It’s all of our faults. All in the name of making more money. I am not here to end the data analysis, in fact I believe in it and when done correctly it makes for a better end user experience. I also know data collection is only going to get more prevalent with the expansion of categories like the Internet of Things and connected homes. Recognizing all possible data about myself and every other person is now being collected, how to I structure my platform to preserve mankind and the humanity inherent within our society? How do balance personalization of my technology with personal security of my users? How do I proceed when I know I CAN do something but unsure if I SHOULD do something? How can we best usher in a new era of technology applications where security is inherent within the structure of the product, not an afterthought when plugging holes after launch? How do I shift my perspective from making the most money possible with my application towards making the world a better, more secure and protected society? Please start thinking about these questions and more… It’s time we call a spade a spade – WE are the ones creating the exact surveillance society we were deathly afraid of growing up. We just thought it would be the Big Bad Government or another foreign country, not ourselves. Please understand hubris will sink anyone who thinks they are immune to it. 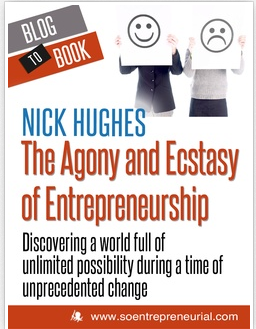 You – as a founder and someone desperately wanting to change the world – can now no doubt do just that. You and your technology can alter the history of humans here on earth. Just make sure you know what change you are putting in place. Kyle Kesterson Answers The Question: What Is Creativity? This short piece comes from one of my founder friends here in Seattle, Kyle Kersterson of Freak’n Genius. Kyle – one of the most creative and nicest people I know – has been growing his startup for a few years now and from what he has told me of late they are destined for great things. In this video he talks about Creativity and how anyone can be creative with anything in the world they find around them, all it takes is a little imagination. The months leading up to the announcement of our new company was chock full of lessons learned. We launched Coinme on May 1st at Spitfire in Belltown during a well attended launch party, complete with our first Meetup and an entertaining expert bitcoin panel. It was the culmination of many long days, phone calls, emails, re-designs, re-brandings, and all sorts of other seemingly frustrating things. Below I have detailed three of which helped me realize a few things – namely the biggest risk of all is not taking a risk. Setting yourself a deadline – be it a launch party, a internal team milepost or some other marker – is the single best thing you can do to push yourself and your team to execute and actually complete what you set out to complete. We set May 1st as our launch party, and determined the machine needed to be there, dressed in its new costume and ready to take live transactions in front of more than an hundred people. We also – very importantly – needed to get passed through the State of Washington as an officially licensed money transmitter business before this date. You have no idea what was required for all these pieces to come together, and before we began this process I didn’t either. But given we had committed to launch this company, we held ourselves to the deadline and pulled through right at the end. I have painfully seen it time and time again with other startups in Seattle… they never release their feature or finally launch their company. Crazily, they just keep working on things. In the end, they simply don’t set themselves a deadline to stick to so they just remain in startup purgatory. This is not the right place to be as a startup – trust me. One big thing I have learned is it’s very early in the bitcoin world, probably too early for most consumers. Most people still have no idea what it is, why they should purchase it, and why they should use it for payments. Although the answer to those questions will be left for future posts, suffice it to say the entire world is still trying to figure it out. Coinme, as a company, believes in the transformative nature of the technology and feel it can influence not only financial transactions but many more industries. And again, it’s way too early to tell. But we feel our opportunity to influence such an early industry was/is too great to pass up. We see areas where we can help educate and inform people about the positives, negatives and in-betweens of this new cryptocurreny world. We’d rather be early to the party than too late. Being early to the market can be good for a startup, but it also can be not so good. If you are too early to the market you risk spending all of your available capital without generating enough revenues (assuming at some point you need to run on revenues, not invested capital) which will ultimately end the business. Successful businesses are able to time the market in a way where they achieve both early mover advantage and customer adoption. One without the other spells doom for any high growth company. I touched on this last post but I feel so strongly about it I think its worth addressing again. Taking a calculated risk – hopefully a number of them – is one of the best things entrepreneurs can do to accel their careers. Doing what no one else is willing or ready to do places a person in a very select group of people, a group where things are created, companies are sold and millionaires are made. Even if the venture ultimately fails, the business (or tech) community will consider the founder a leader, an innovator and a healthy risk taker. That’s exactly the person investors want to invest in. That’s who others want to follow when they take their next job and join their next company. That’s who the media wants to cover when they write about the next generation of business leaders. Trust me, what I learned over the last few months is that the biggest risk of all is not taking a risk. As it turns out, I was indeed part of the group who brought the first bitcoin machine to the State of Washington and the greater Pacific Northwest. We launched Coinme on May 1st at Spitfire in Belltown during a well attended launch party, complete with our first Meetup and an entertaining expert bitcoin panel, including Charles Fitzgerald , (angel investor), Patrick Murck (General Counsel for Bitcoin Foundation) and Will O’brien (CEO of BitGo). We had a great time and it was an awesome way to ring the new venture. My answer may not be what you expect, but if you are a founder – or thinking of becoming one – it’s what you need to hear. I jumped at this opportunity because I sensed something seismic rattling under my feet, I felt the inevitably of it becoming such a transformative force in our world I knew I would kick myself later if I or Seattle didn’t get involved now. I had this crazy notion that we are now experiencing a tremendous change in the way we relate and interact with money/currency/privacy/data and wanted to be a part of it. I noticed the most common way people were perceiving this new technology was with ignorance and confusion, stating things like “bitcoin is a Ponzi Scheme”, which tells me they just need to be educated. I realized we are watching an industry mature right before our very eyes, growing from a child into a gangly teenager, struggling with growing pains along the way. With a little luck maybe I felt I could guide that teenager in the right direction. It was a risk I simply couldn’t pass up. The media likes to cover the “downfalls” and the “catastrophes”, mostly because shock media drives more page views than intelligent and analytical dissection of challenging topics. But along with all the negative press bitcoin has received, there are golden nuggets of wisdom one shouldn’t turn a blind eye towards. Look hard enough (and follow the right people) and you will read bitcoin analysis that will blow your socks off. Please follow Fred Wilson, Marc Andreesen and Naval Ravikant for such nuggets of the wisdom I am referring to. It’s fascinating. You’ll read things like bitcoin is the new internet of money and will soon power machine to machine (droid to droid?) payments, opening up a whole new part of our daily economy. It has the opportunity to transform many different industries outside of finance, it could become the new domain/identity protocol for online citizens, it will aide in calming identity theft and consumer privacy, allow for more efficient commerce and transactions across the web, maybe even help media outlets collect micro-payments from readers for access to their posts, and many, many other things. Simply put, this ain’t your daddy’s financial system. These and other reasons played into my decision to be a part of Coinme and help grow the crytpocurrency in Seattle. So with all this crazy “Bitcoin” (air quotes) coverage and other startups making questionable business decisions around the cryptocurrency, why the heck would I decide to start a bitcoin business? I acknowledge the above quote can be quite overused, but in this instance I think it fits perfectly. We started Coinme because we saw an industry taking shape but yearning for more quality leadership from the innovators and executives of those companies. We made a pledge to ourselves to be one of the good men (or women) leading this new industry. The bitcoin economy desperately needs innovators, entrepreneurs, legal advisors, regulators, politicians, consumers and business owners to all work collectively for the advancement of our society. Not just for the advancement of their own selfish interests, but for the betterment of the world. Who knows, Bitcoin might drop through the floor and Coinme might fall flat on its face as a result. But by taking this risk I will have learned A TON about a new and emerging industry (and myself) at a time when everyone is still trying to figure out what it is. I will have laid the groundwork for my next 10 – 20 years as an entrepreneur and established myself in a small but growing industry. I will have looked uncertainty in the face and chosen to proceed when the path is not exactly clear, teaching me to acknowledge my fear of the unknown but move forward anyway. And that is what I encourage you with today. Seattle has tremendous leadership in the technology space and is home to many recognizable and industry leading companies, yet, we need more leaders – the future of our local economy depends on it. You may not be launching a bitcoin startup but you do have an opportunity to be influential and guide your market in the right direction. You have an opportunity to take a risk, to put Seattle on the map – or more aptly allow us to become even more attractive for both entrepreneurs and investors and hopefully put to rest the whole Valley vs. Seattle argument. We hear it all the time from the investment community here in Seattle – Swing Bigger. Well, here’s your chance. You have right in front of you a choice: take the easy road and solve a derivative of an existing problem, making things just a bit easier for the few that may experience it. Or choose the hard road and take a larger risk to do something no one has ever done before, with a greater reward waiting for all of us at the end. In speaking for the greater Seattle tech community, I urge you to choose the latter. I’m excited to announce the launch of a new company and project, Coinme. In addition to forming a new company around the cryptocurrency industry, we just launched the state of Washington’s first Bitcoin Kiosk, or better known as an ATM, on Thursday at a downtown Bar and Grill called Spitfire. These machines provide a quick access portal to buying and selling the popular cryptocurrency and allow users to to turn their cash into bitcoin, or vise versa. It simply is the fastest and most secure way to buy and sell bitcoin in the world. Also notable, we are the nation’s first Licensed Bitcoin Kiosk, meaning the State of Washington and the Department of Financial Institutions has declared our business lawful to operate as a money transmitter within the state of Washington. I will expand on my thoughts about the new emerging cryptocurrency industry and why I am choosing to dive into it in the near future. Stay tuned! SEATTLE, Wash. – May 1, 2014, Seattle-area residents will now have a way to conduct fast and secure bitcoin transactions via the Coinme Kiosk. Built by world-leading kiosk manufacturer Robocoin, first-time bitcoin users or avid enthusiasts will now be will be able to buy and sell bitcoin as securely as using a standard ATM. The launch of the Coinme Kiosk comes months after working closely with state and federal regulators to ensure compliance with existing money transmitter laws, anti-money laundering protocols and KYC (“know your customer”) requirements. As a result, Coinme is the first licensed Bitcoin Kiosk in the United States and complies with state money transmitter laws. To celebrate this bitcoin milestone, the Seattle community is invited to see a demo of the first Coinme Kiosk and hear a panel of industry experts discuss the potential of cryptocurrency at the company’s launch event beginning at 5:00 p.m., May 1, Spitfire 2219 4th Ave, Seattle, WA. 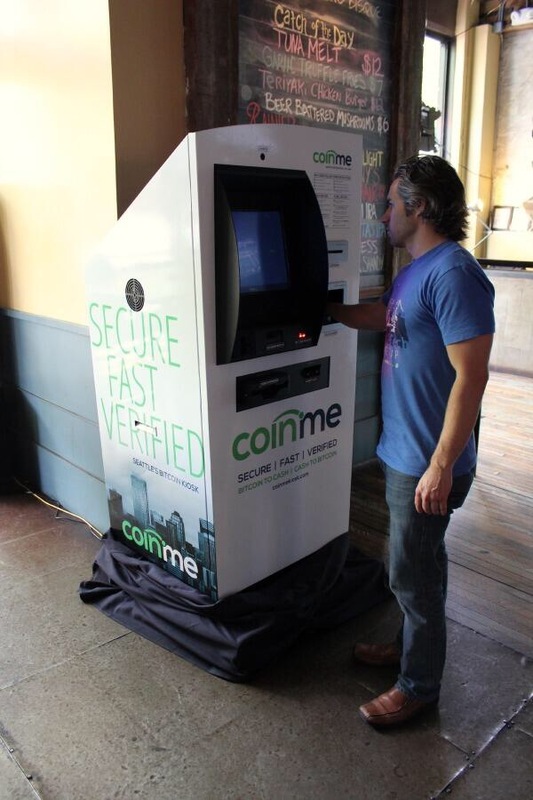 In the coming months, Coinme will roll out additional kiosks in the Seattle metropolitan area. To use the kiosk, users will only need their cell phone and driver’s license. Transactions generally last 5-10 minutes and the funds settle almost immediately; whereas, transactions through online exchanges can take several days. Check the company website for more information and join the newly formed Seattle Bitcoin Meetup for upcoming social events and educational programs. “At Coinme, we’re a team who believes the digital currency industry needs more accountability and leaders who are accessible to help the general public understand the potential of this new means of exchange,” said Hughes. Coinme is on a mission to increase cryptocurrency literacy, build the local cryptocurrency economy and provide the fastest and most secure solution for buying and selling Bitcoin. Coinme partnered with Killer Infographics to create an easy-to-understand explanation of bitcoin and how the Coinme Kiosk works. The infographic can be found here. The keys were hitting the ignition so hard I thought they were going to fly straight out of the car, as it was rocking back and forth so fast it was spilling my cup of water all over my lap. “Trust me, it’s awesome!” I reassured him. 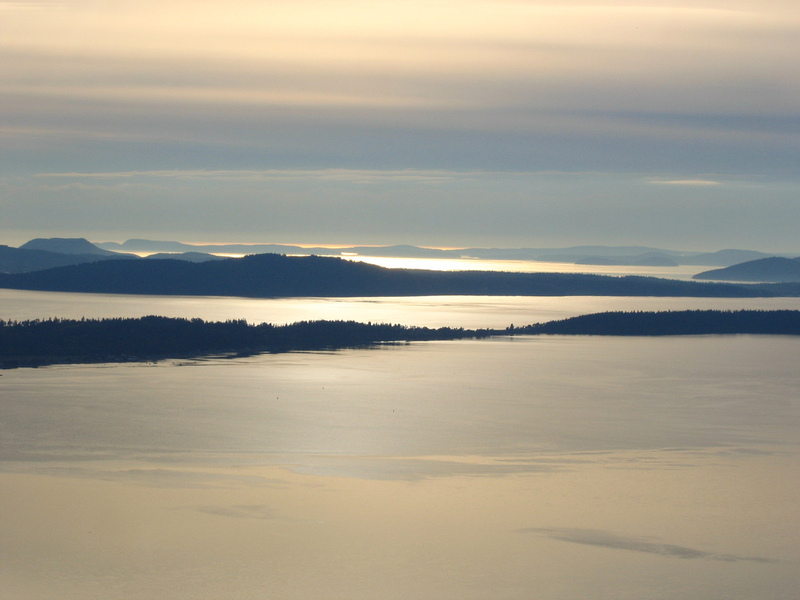 What he didn’t know was we were about to ascend on one of the most beautiful views one can find in the Pacific Northwest. Of course, to get there we had to do a little off-roading first. 30 minutes later, Clank-Clank…. Clank-Clank” ….the keys shouted again.….. Clank-Clank…. Clank-Clank” even louder this time. I often think back to those college days when I would venture up to Blanchard Hill for a weekend of camping with friends. It took a toll both on the car and our stomachs as we gained elevation on the logging roads in our cheap little sedan. Back then – even if we were just looking for a cool spot to drink beer and roast marshmallows on a campfire – we unintentionally grasped something very important about life. You don’t get anywhere amazing by taking the road normally traveled. It’s the roads less traveled which provide the largest payoff. Of course you couldn’t reach this amazing view on smooth, straight, and well traveled roads. It’s too normal and too commonplace. It’s flat. It’s boring. They take you from point A to point B. Too many people travel along those roads to experience such an amazing and unique payoff. I am reminiscing about this because I find myself on the bumpy road right now. My “keys” are clanking so loud right now, so loud it’s deafening. I sometimes wonder why I am sacrificing other parts of my life and my earning potential in the prime of my life to do something different than others. Why am I not on the same road as so many of my friends? They “seem” to be driving so smoothly, smiling and enjoying the fruits of the road most traveled. The road I am on is extremely bumpy and very deserted, with so many potholes I am pulling the wheel back and forth, weaving left and right to simply keep the tires full of air. I have realized it’s not specifically about the road you are on but the destination where you will end up. You must choose between enjoying the road or enjoying the destination where that road leads you. Most of the time those are opposing forces and I have learned you have to do a little off-roading to building anything extraordinary today. Exiting the highway and ascending the bumpy mountain road is what is required of a successful entrepreneur. Some come a little more prepared, with their 4×4 trucks and their lifted chassis so they miss most of the rocks. And some – who may be thought of as a little bit crazy – just start climbing the road with whatever vehicle they might be in at the time. Yet it is these people, who may not have the luxury of a large 4×4, who learn to become the greatest navigators of the bumpy roads. But in the end, it really doesn’t matter what vehicle you took to get to the top. Getting to the top, reaching your destination, is the only thing that matters. The view is worth the work and trouble of it all. The satisfaction of choosing the bumpy road – doing something most people don’t – overrides all the pain and challenge one experiences through it all. Which road are you choosing?